SpaceX’s upgraded Dragon capsules will not return astronauts to Earth for powered landings as originally envisioned, company boss Elon Musk said Wednesday, a design change that raises questions about the space transport firm’s plans to send commercial landers to the surface of Mars. Musk cited safety concerns for eliminating plans for propulsive Dragon landings in remarks at the International Space Station Research and Development Conference in Washington. 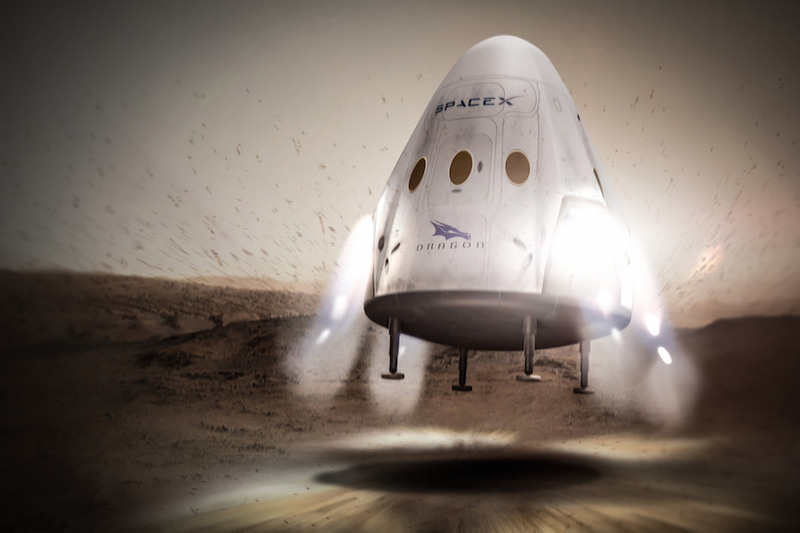 He also said the original Dragon landing concept, in which four landing legs would extend from the base of the capsule’s heat shield as throttleable SuperDraco thrusters slowed the craft’s speed for touchdown, was not as useful as he initially thought for SpaceX’s plans to send humans to Mars. “That was a tough decision,” Musk said in response to a question on the matter. He added that the human-rated Dragon, which SpaceX is developing with mostly NASA funding, is “technically” still capable of propulsive landings. “Although you’d have to land it on some pretty soft landing pad because we’ve deleted the little legs that pop out of the heat shield,” Musk said. NASA awarded SpaceX a $2.6 billion contract later in 2014 to finish development of the upgraded Dragon spacecraft — called Crew Dragon or Dragon 2 — and fly up to six crew rotation missions to the space station. Boeing won a similar contract worth $4.2 billion for its CST-100 Starliner spacecraft. 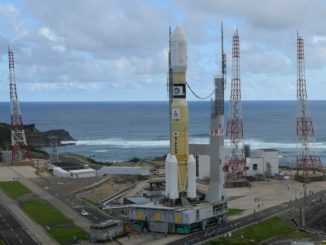 Both programs have been delayed and will miss NASA’s goal of having the vehicles certified for piloted missions by the end of 2017, ending U.S. reliance on Russian Soyuz spacecraft to carry astronauts to the space station and return them to Earth. Boeing says the CST-100 Starliner’s first orbital test flight with a two-person crew in August 2018. 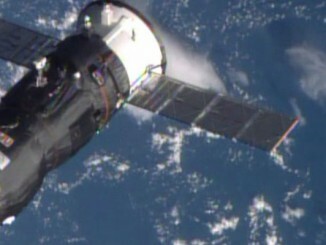 SpaceX officials said in 2015 that the Crew Dragon’s first few missions would end with parachute-assisted splashdowns at sea, similar to the way the current Dragon cargo capsules come back to Earth. The crew-capable version is heavier, requiring four main chutes instead of the three flying on station resupply flights. But engineers continued to plan for propulsive landings once NASA certified the powered descent approach. 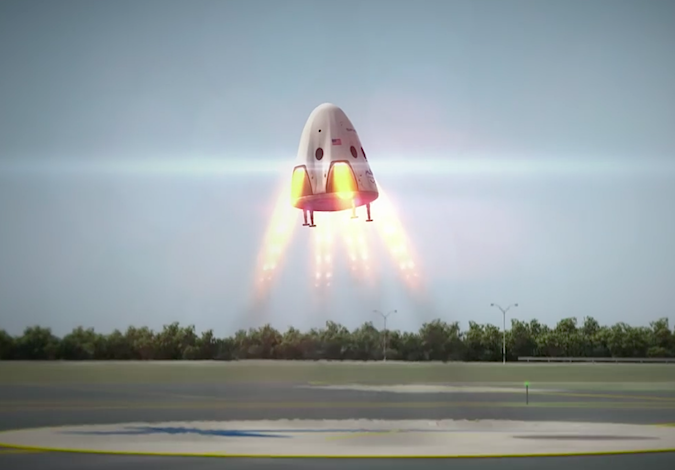 The Crew Dragon will already have the SuperDraco thrusters needed for a powered descent. The same rocket packs act as the capsule’s escape booster to whisk astronauts away from a failing launcher. SpaceX now favors another type of recovery. Musk did not elaborate on the new concept for landing on Mars. “That’s what the next generation of SpaceX rockets and spacecraft is going to do, so just the difficulty of safely qualifying Dragon for propulsive landings, and the fact, from a technology evolution standpoint, it was no longer in line with what we were confident was the optimal way to land on Mars,” Musk said. “That’s why we’re not pursuing it. The redesign of the next-generation Dragon’s landing system will affect SpaceX’s plans to send the first in a series of robotic Dragon spacecraft to Mars in 2020. Musk did not address the status of the first so-called Red Dragon mission Wednesday, but the concept involved dispatching a Dragon capsule similar to the ship built for crews to the red planet on top of a huge Falcon Heavy booster. The Red Dragon would have descended to a powered touchdown on landing legs in a sequence similar to the one envisioned for Crew Dragons on Earth. Gwynne Shotwell, SpaceX’s president and chief operating officer, said in February that the first Red Dragon flight was delayed to mid-2020 from 2018, pushing its arrival at Mars back to early 2021. Launch opportunities to Mars come approximately every 26 months when the planets are favorably aligned. The space agency signed up to support the privately-developed Red Dragon project to gather data on supersonic retro-propulsion officials said NASA would be unable to obtain until at least the late 2020s with a government-managed mission. NASA said it would spend more than $30 million on the effort by providing advisors, navigation, communications and tracking services, and technical analysis. “Plan is to do powered landings on Mars for sure, but with a vastly bigger ship,” he tweeted Wednesday after his remarks in Washington. Musk said SpaceX is making progress on the Crew Dragon vehicle, which has a different aerodynamic shape than the company’s cargo craft. Designers are also adding a life support system, seats, cockpit displays and other equipment for human passengers. “It’s been way more difficult than cargo, for sure,” Musk said. “As soon as people enter the picture, it’s really a giant step up in making sure things go right. For sure, the oversight from NASA is much tougher. I thought it was tough for cargo, but it’s really intense for crew. 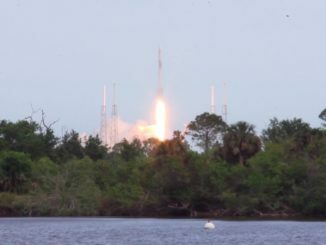 Crews riding Dragon spacecraft will blast off on SpaceX’s Falcon 9 rocket from pad 39A at the Kennedy Space Center in Florida. SpaceX is working on final modifications to the Falcon 9, which it calls the “Block 5” configuration, to meet NASA human-rating safety standards. He did not offer details on the disagreements.